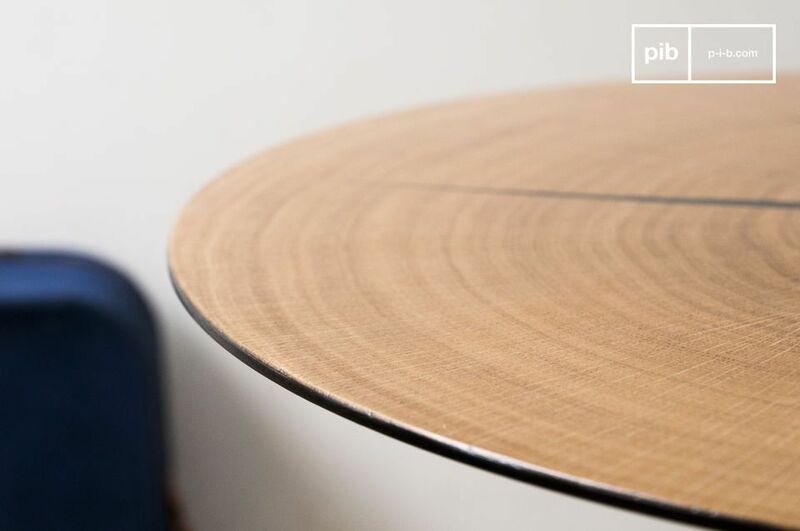 The Xyleme side table is composed of a thin section of light oak wood applied to a round metal top. 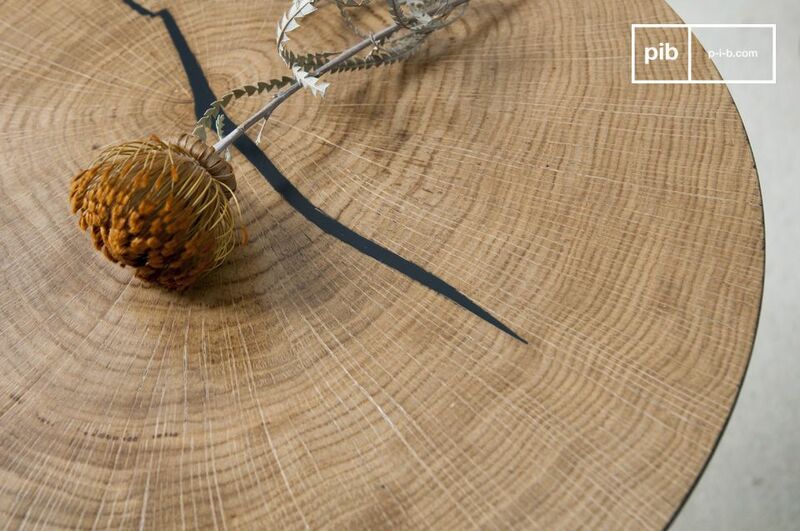 The wood is varnished, which protects it from stains and reveals the natural lines of the wood. The natural crack in the wood was filled with black to recall the colour of the footing. 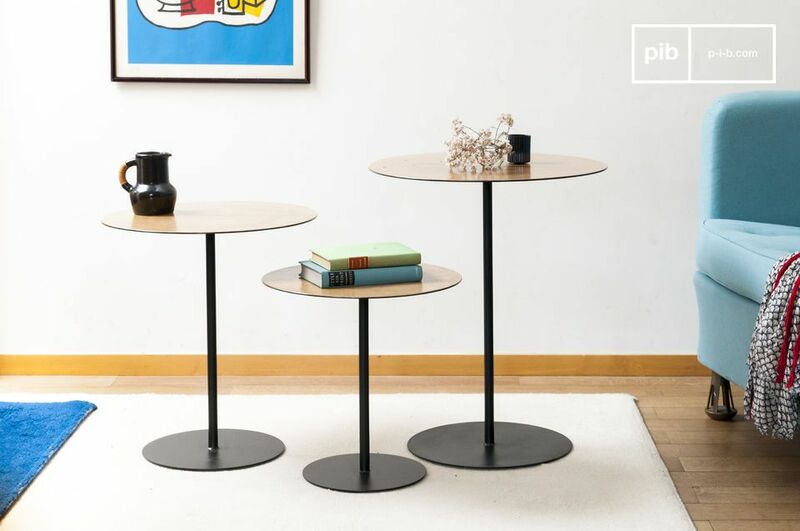 Stable and refined: perfectly vertical, the base consists of a long matt black tube resting on a black round base. 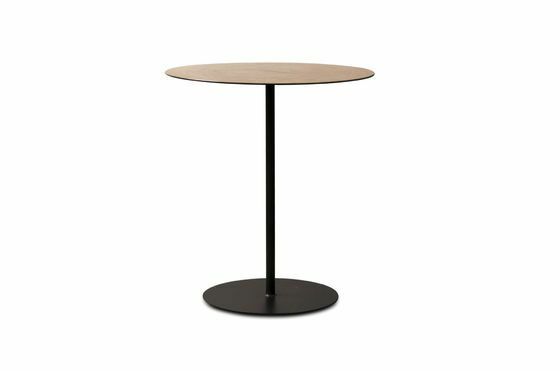 This design ensures perfect stability of the table, magnified by a perfectly horizontal tabletop. Inspired by mid-century, this side table combines the nobility of oak with the solidity of metal. It will easily fit into a Scandinavian style interior, but also into a world with more contemporary notes.